Classic, practical and stately; the Kensington Side Chair is a must for your yacht, verandah or seaside cottage. 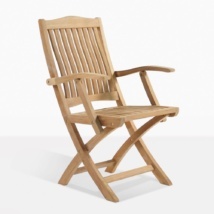 Sporting a traditional, timeless design; the Kensington range is regarded highly for its attractive design, versatility, and a convenient handle that lifts and folds down to a succinct package for easy storage. Compatible with a multitude of our A-Grade teak dining tables, this convenient folding side chair is perfect for those outdoor meals and celebrations! 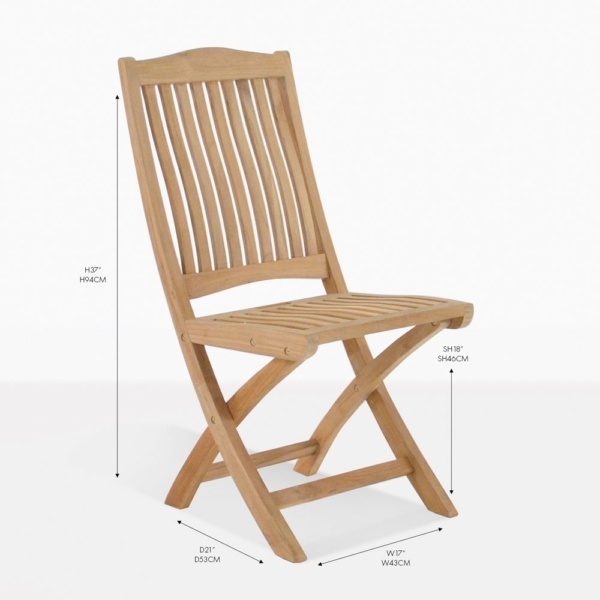 Purchase 6 of the Kensington Sides with two of its complimentary Kensington Arm Chairs and set around the Monaco Table for a simplistic and chic setting, making a strong central focus for your patio or backyard. 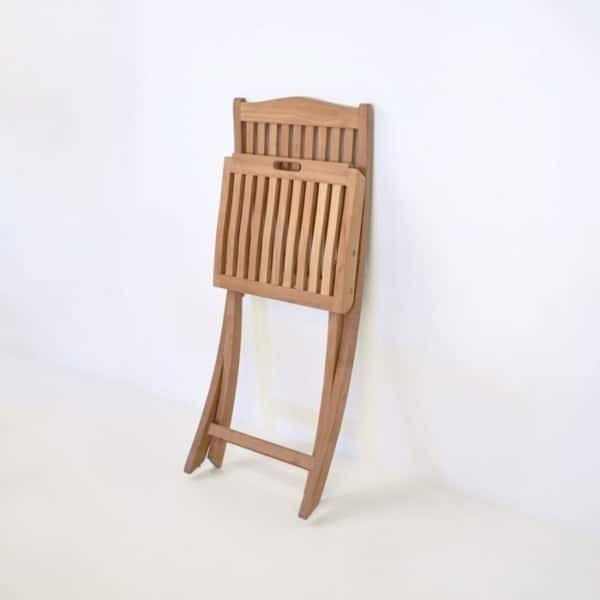 These chairs are also terrific choice to add to any of our Café tables for a European look. 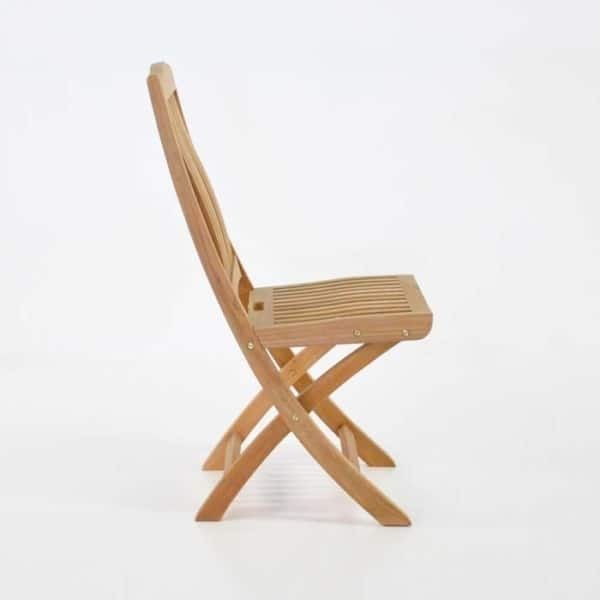 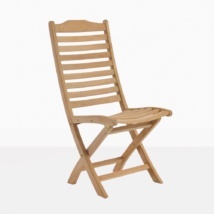 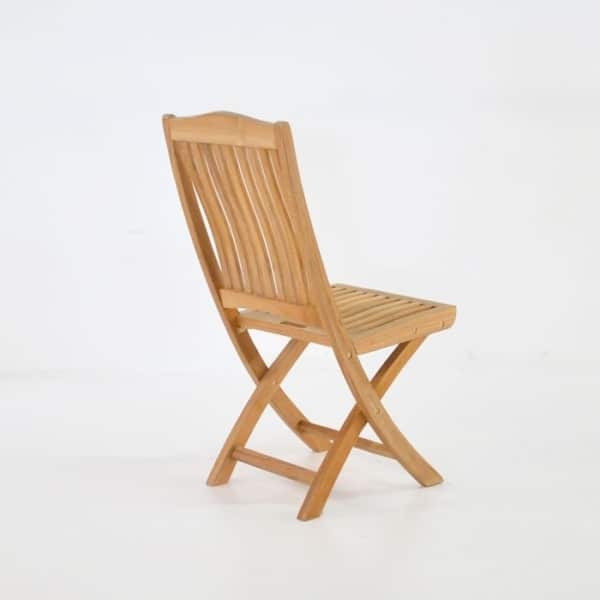 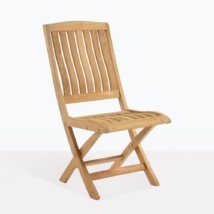 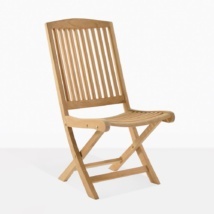 W17" x D21" x H37"
The Kensington Side Chair is constructed using A-Grade Teak and marine grade epoxy glues and fittings, ensuring a long life of comfort and style. Available today.